Graves SJ, Maskey M. Rethinking Approaches in Exploration and Analysis of Big Data in Earth Science. AGU. 2015 . Graves SJ. 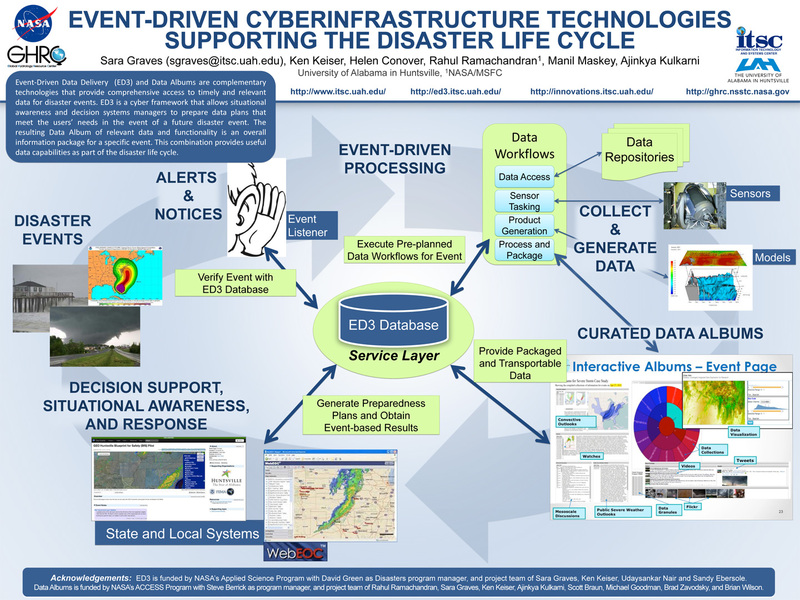 Supporting Decision Support With Event-Driven Data Delivery. 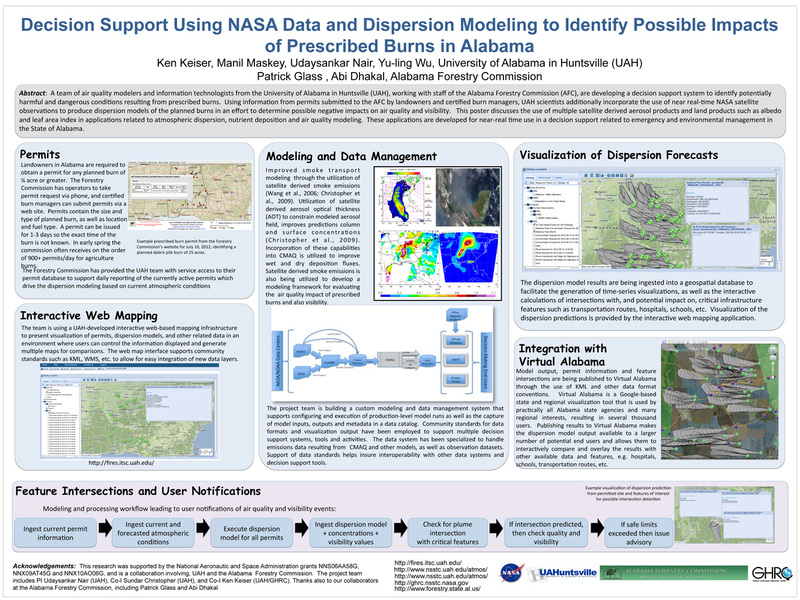 In: Keiser K, Maskey M, McEniry M American Meteorological Society (AMS). American Meteorological Society (AMS). Atlanta, GA: AMS; 2014. Maskey M, Ramachandran R, Kulkarni A, Conover H, Goodman M, Zavodsky B, Braun S, Wilson B. 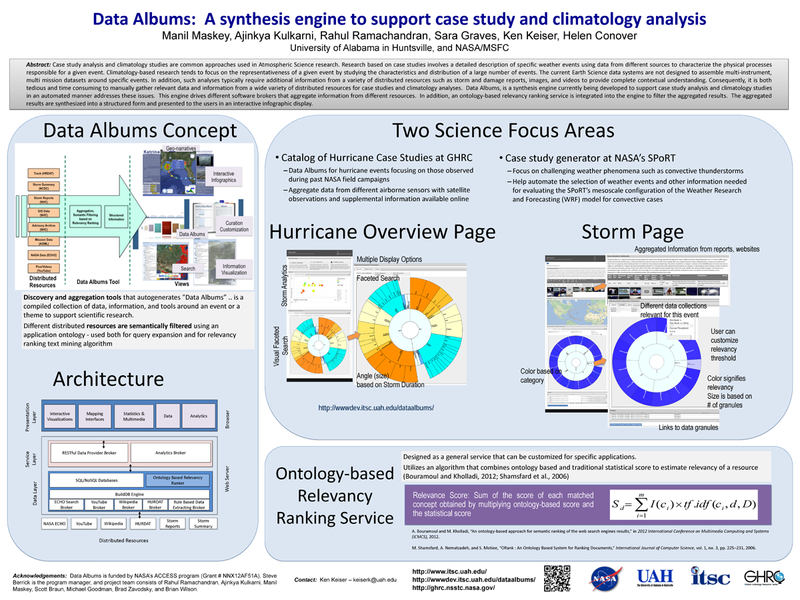 Data Albums: A synthesis engine to support case study and climatology analysis. In: AGU. AGU. San Francisco, CA: AGU; 2013. 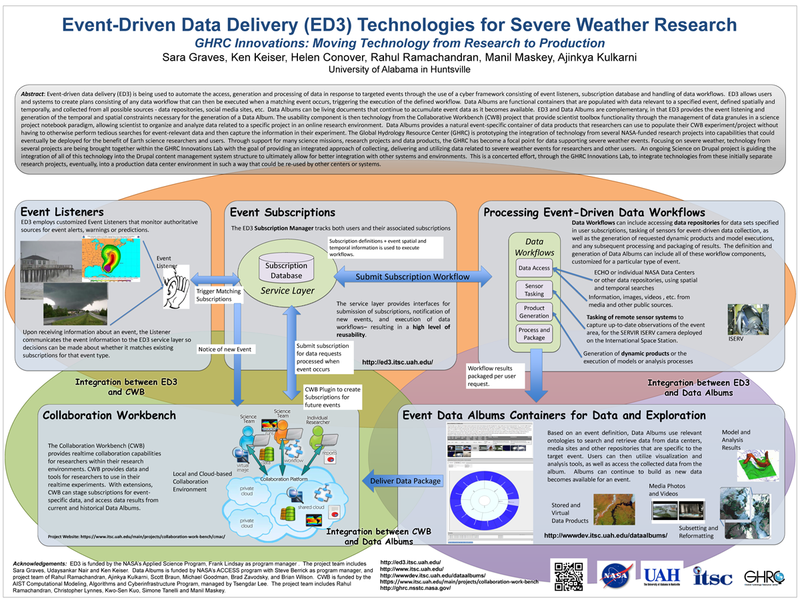 Conover H, Ramachandran R, Smith T, Kulkarni A, Maskey M, He M, Keiser K, Graves S. Expanding the Role of an Earth Science Data System: The GHRC Innovations Lab. In: AGU. AGU. 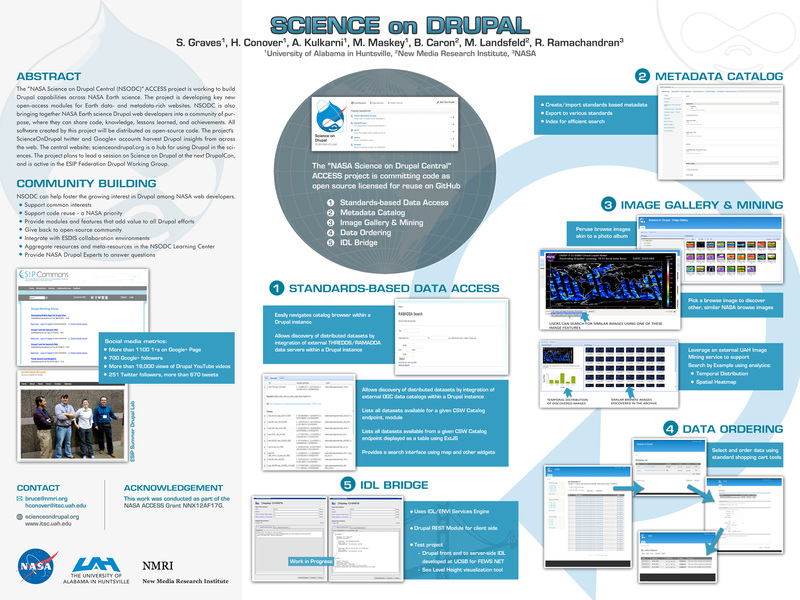 San Francisco, CA: AGU; 2013. Alexander S, Hoy H, Conover H, Maskey M, Gamble J, Fraley AM. Initiating Collaboration Among Organ Transplant Professionals Through Web Portals and Mobile Applications. Online Journal of Issues in Nursing. 2013 . Maskey M, Alexander S, Conover H, Gamble J, Hoy H, Fraley AM. Powering Transplant Professional Collaborations with Web and Mobile Apps. Computers, Informatics, Nursing. 2013 . 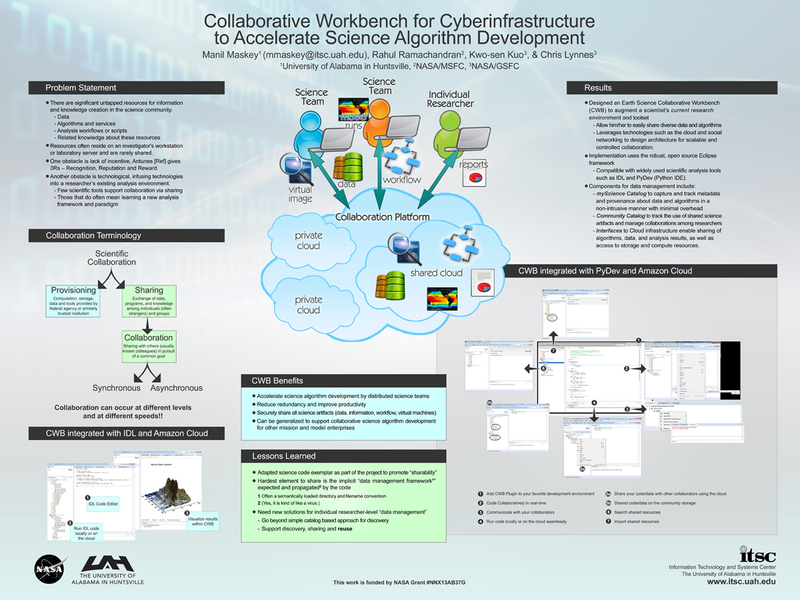 A. Harris T, Maskey M, Ramachandran R. Seamless online science workflow development and collaboration using IDL and ENVI Service Engine. In: AGU. AGU. 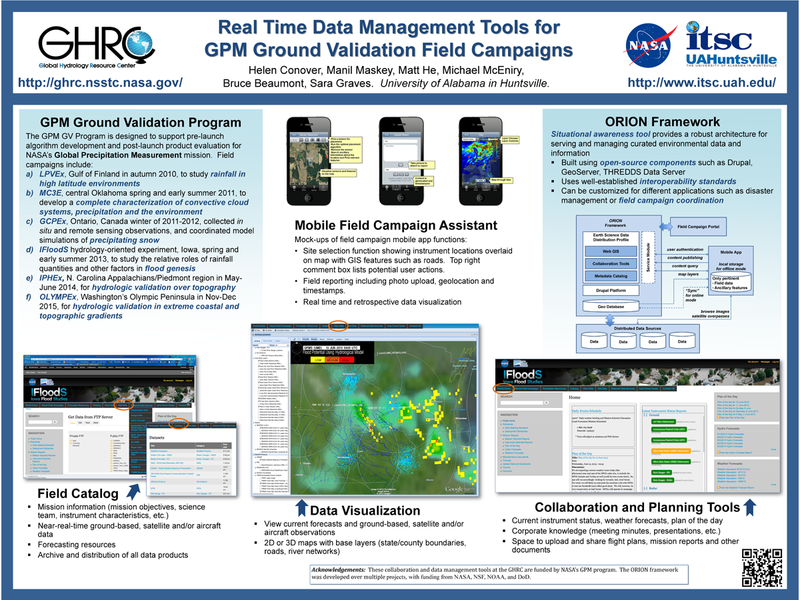 San Francisco, CA: AGU; 2013. Maskey M. Augmented Reality Markup Language 2.0. In: ESIP Summer Meeting. ESIP Summer Meeting. Madison, WI; 2012. Maskey M. Developing Mobile Apps for Drupal Sites. In: ESIP Summer Meeting. ESIP Summer Meeting. Madison, WI; 2012. Hoy H, Maskey M. Development of a Web-Based Mobile Technology Application for Healthcare Providers in Transplant Care. In: UA System Scholars Institute. UA System Scholars Institute. Birmingham, AL; 2012. Maskey M, Harper S, Graves S. A Metadata Catalog for the Northern Gulf Coastal Hazards Collaboratory. Northern Gulf Coastal Hazards Collaboratory Annual Meeting. 2012 .